Web Design » Website Design update » Need a website design update or revamp? Need a website design update or revamp? There are many reasons why you might want a webpage design update, out of date content, the website may not be mobile friendly or you might just want a new look and feel for your website. What ever the reason Peppard Creative can assist you to help with a smooth website design update. 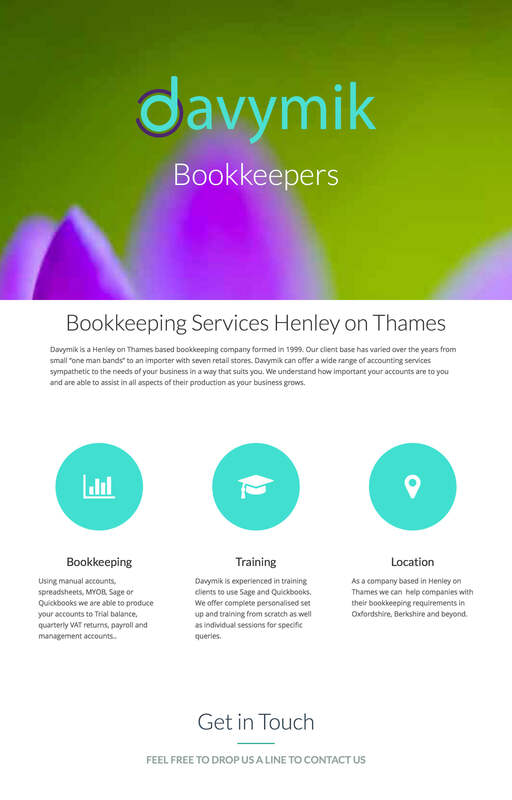 Recently we just completed a site revamp for davymik.co.uk a bookkeeping firm based in Henley on Thames Oxfordshire. We created a new website that was not only responsive, but a fresh, vibrant, and SEO friendly yet with still a slick professional feel to it. Photo below. Do You Need A Website Design Refresh ?